Flaky pastry is used for several popular Georgian dishes, including Khachapuri (Georgian Cheese Bread), Lobiani, pastries and cakes. 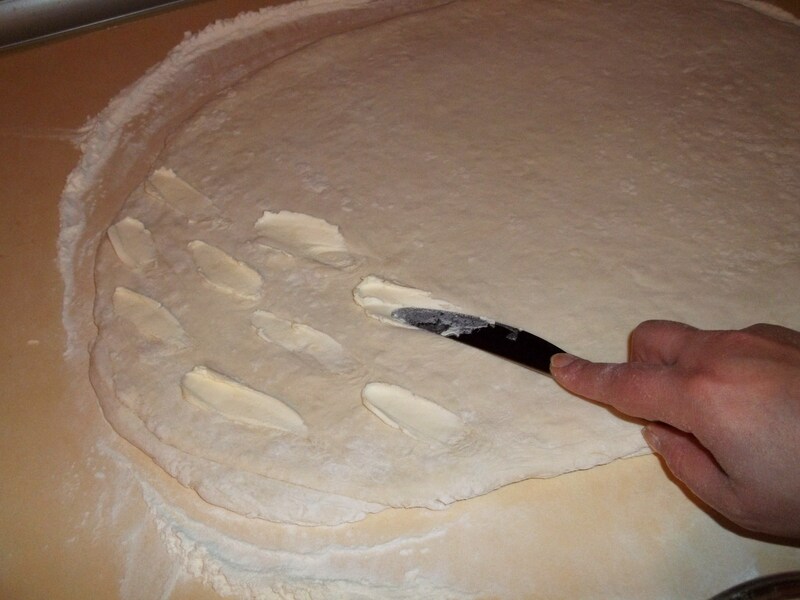 This step-by-step guide will show you how to make authentic Georgian flaky pastry. Ingredients: 1.2 kilos of white flour, 1 egg, 180 grams of butter, 500 ml tepid water (milk can be used instead, especially if you intend to make cakes) and 1 tsp of salt. Preparation: Add 1 kilo of flour to a mixing bowl. Create a depression in the flour and add tepid water, egg and salt. 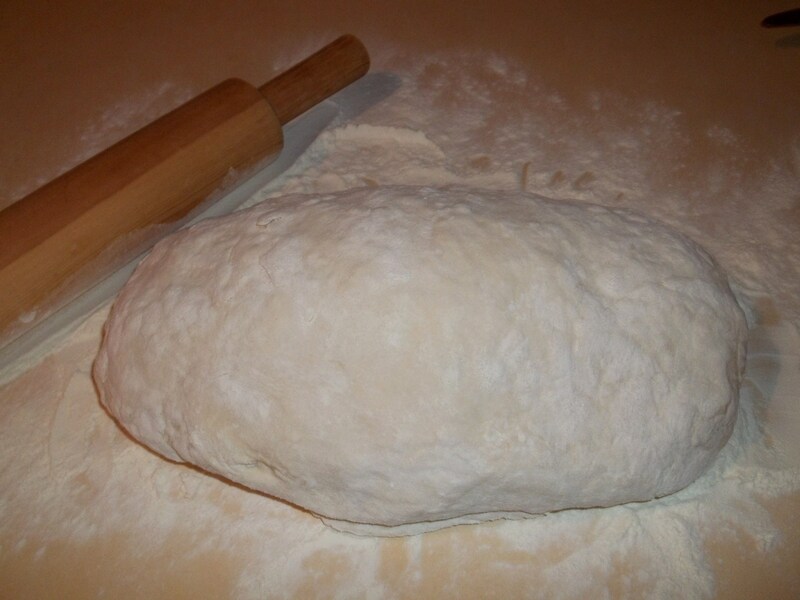 Mix the ingredients until you have a soft dough. Sprinkle flour on a work surface and remove dough from the mixing bowl. 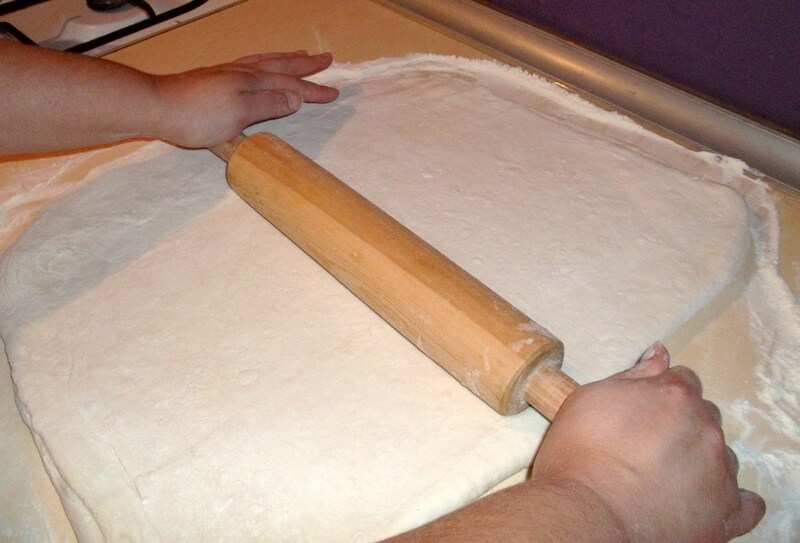 Roll out the dough to make a rectangle 20 x 40cm. 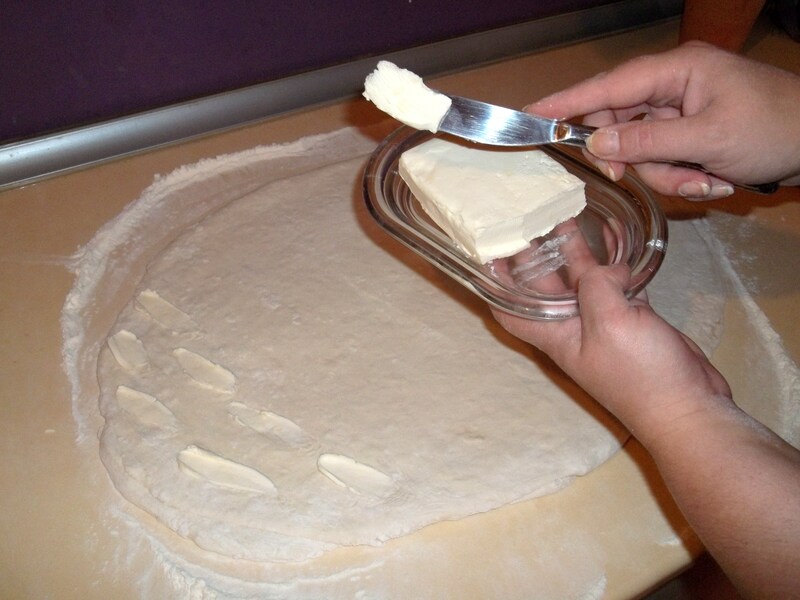 Use a table knife to apply butter to the dough as shown in the picture above. Apply the butter to one half of the dough. 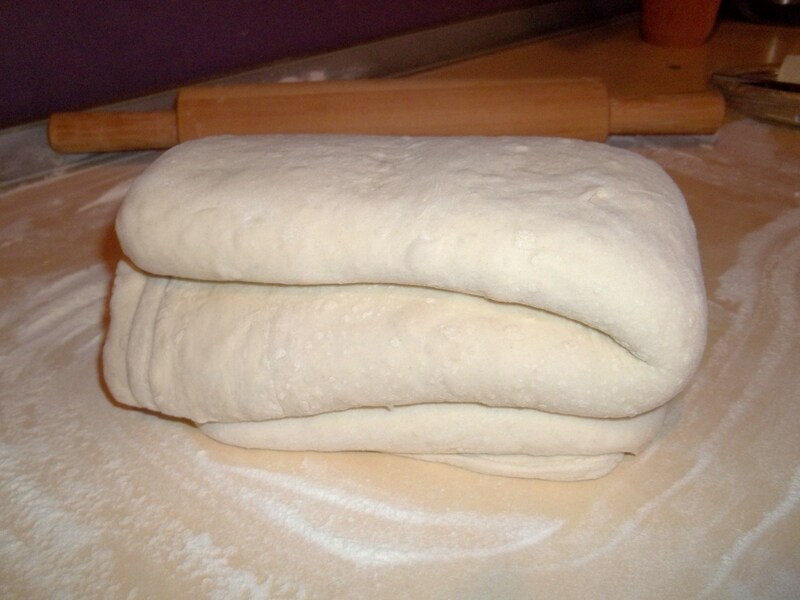 Fold the non-buttered half over the buttered half as shown in the photo below. 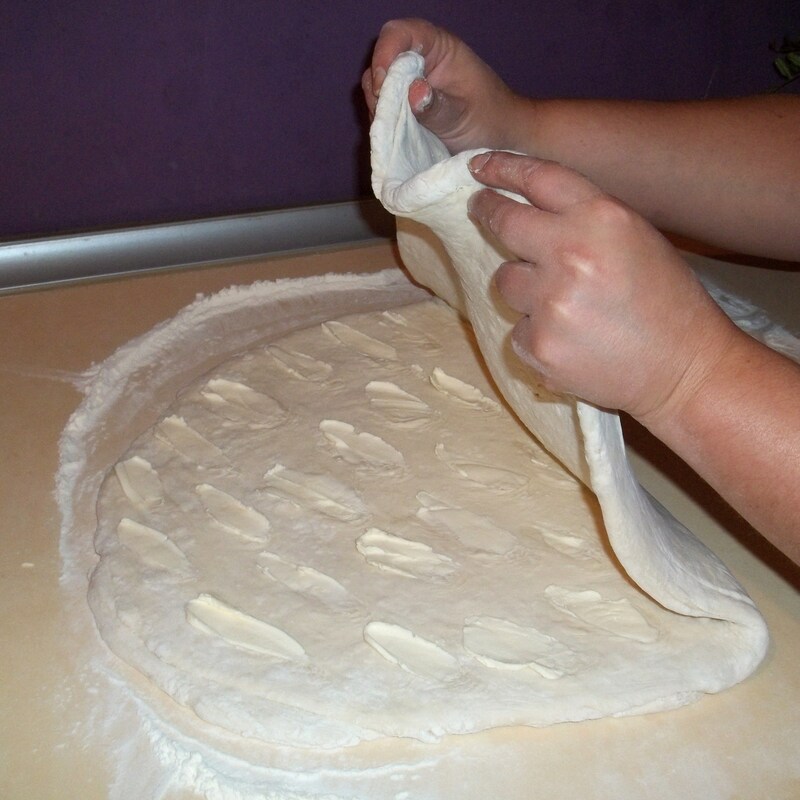 Sprinkle the folded dough with flour. 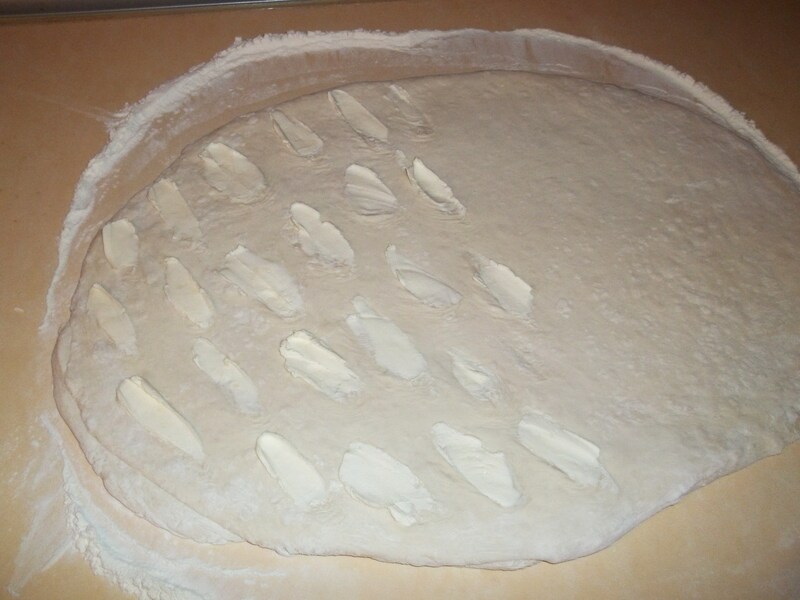 Roll out the dough again. 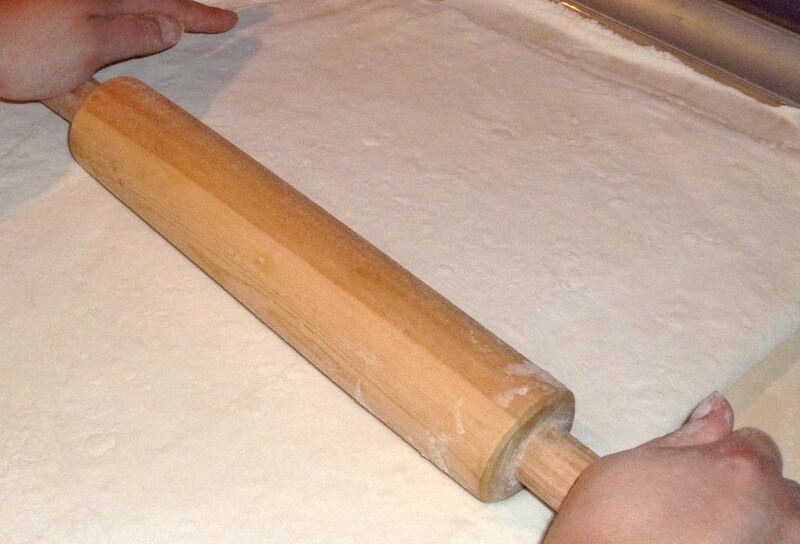 Apply butter to one half of the rolled out dough as shown in the picture below. 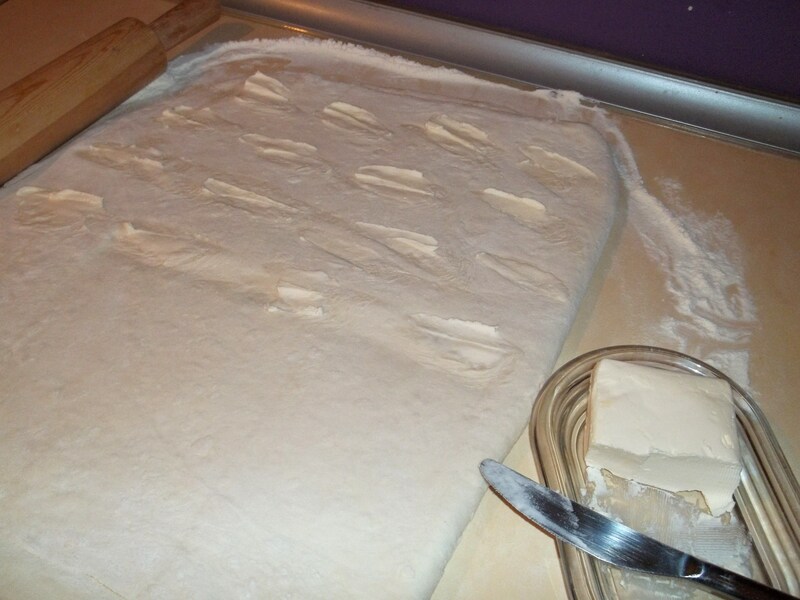 Repeat the process of folding, sprinkling of flour, rolling and applying butter until all of the butter is used up. This could be 5 or 6 times. 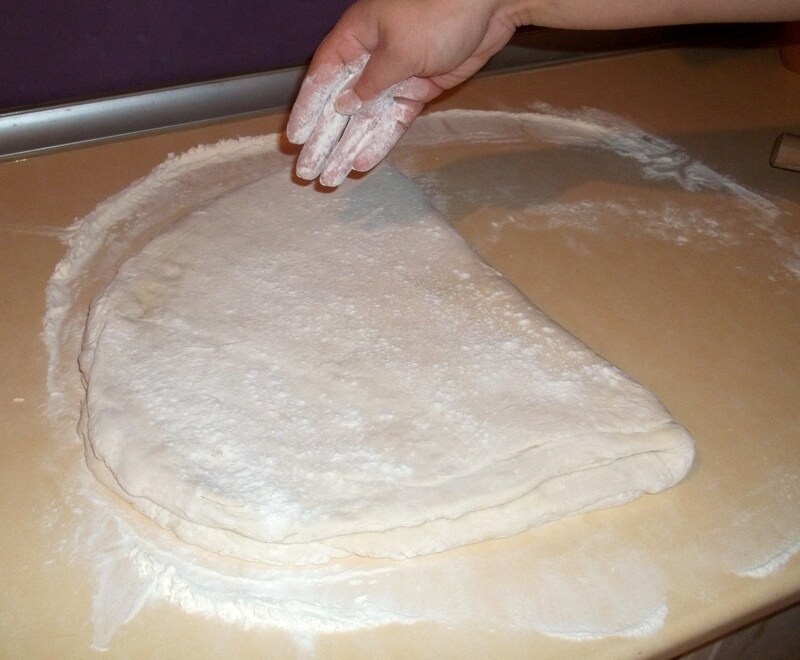 Once you have applied the final application of butter, fold and re-fold the dough as shown in the picture above. 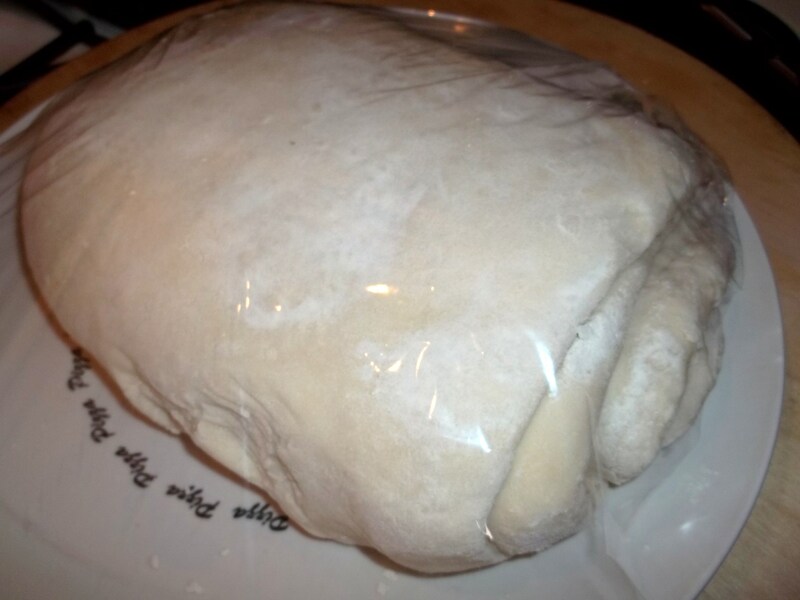 Cover the folded dough with cling-film and place in the freezer compartment of a refrigerator for 20 minutes or in the main compartment of a refrigerator for 1 hour. Your dough is now ready to make fantastic flaky pastry recipes. Enjoy! 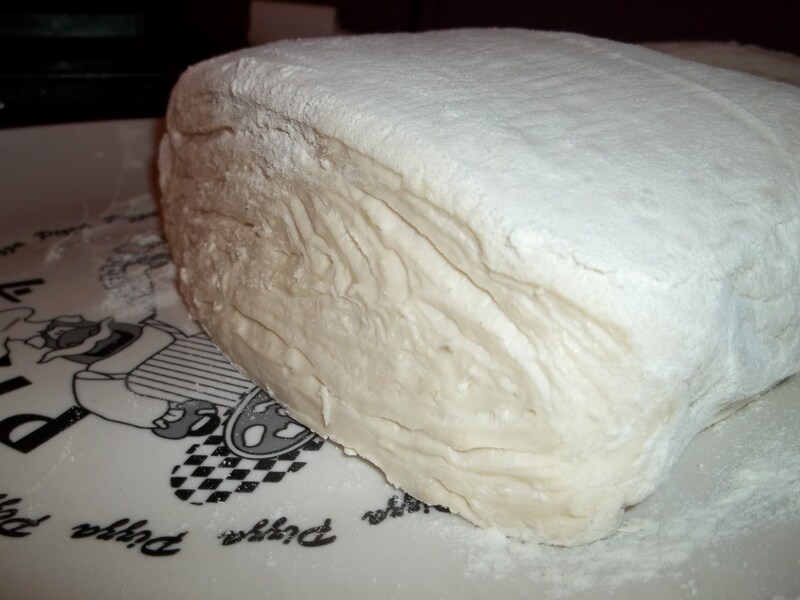 In future posts we will show several Georgian recipes that are made with flaky pastry. how would I convert your recipe into cups / tsp./ Tb.